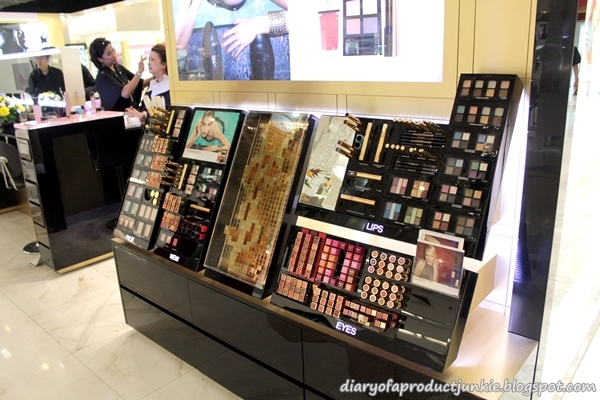 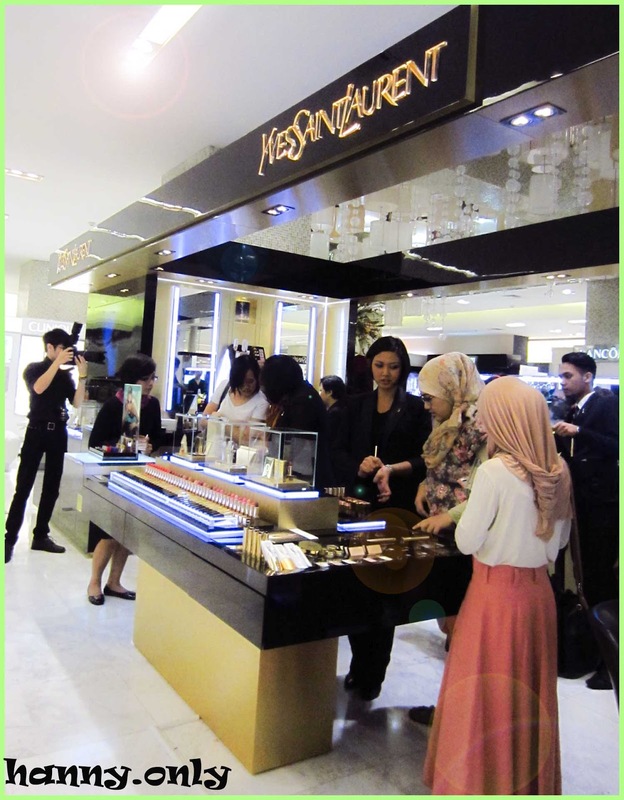 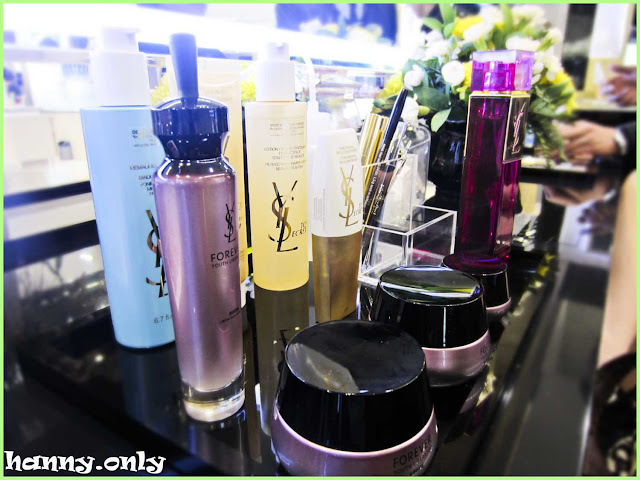 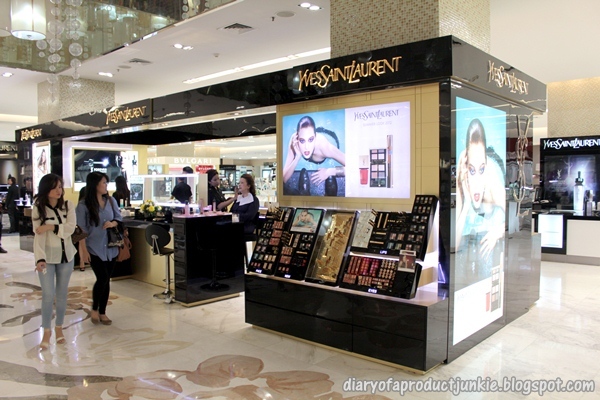 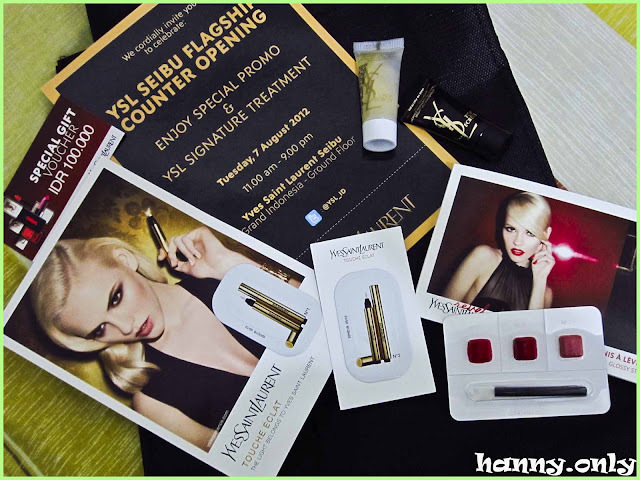 so last tuesday i was invited to YSL small events at Grand Indonesia where they open this new flagship counter.. the counter now is more bigger and elegant with different sections from skin care, makeup, even fragrances..
few of my pics blurred out.. so i steal some from gorgeous stephanie!! check out her blog here ..
my fave part.. the makeup area..
i love their summer 2012 look!! 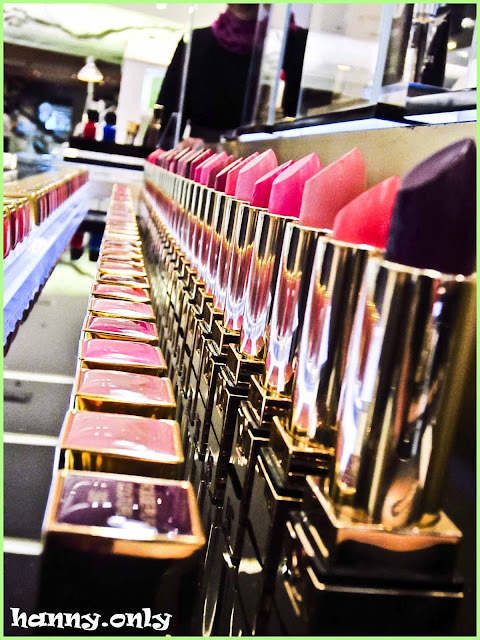 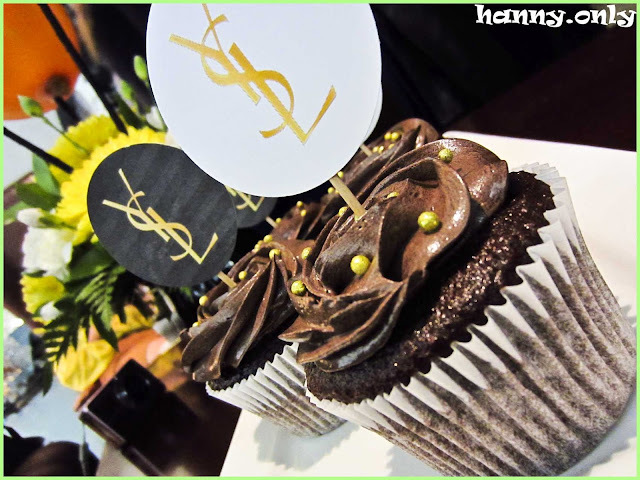 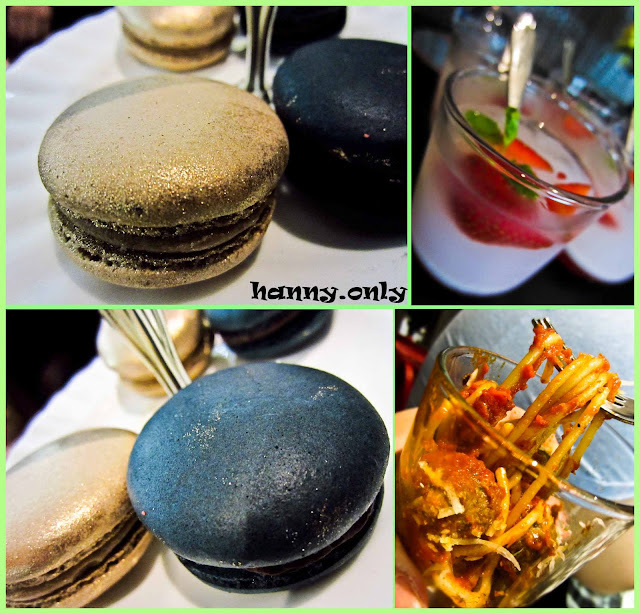 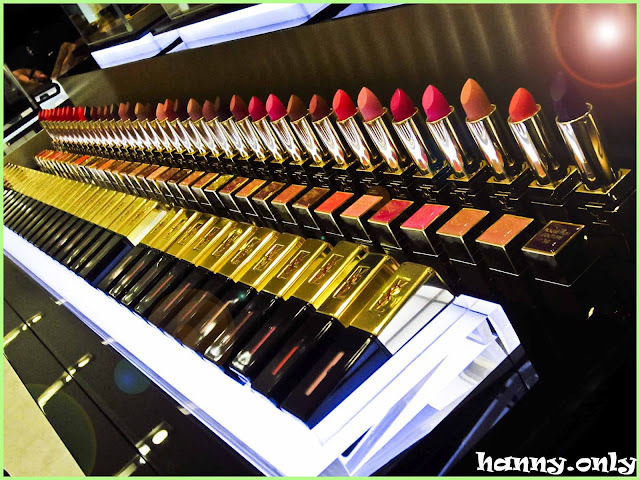 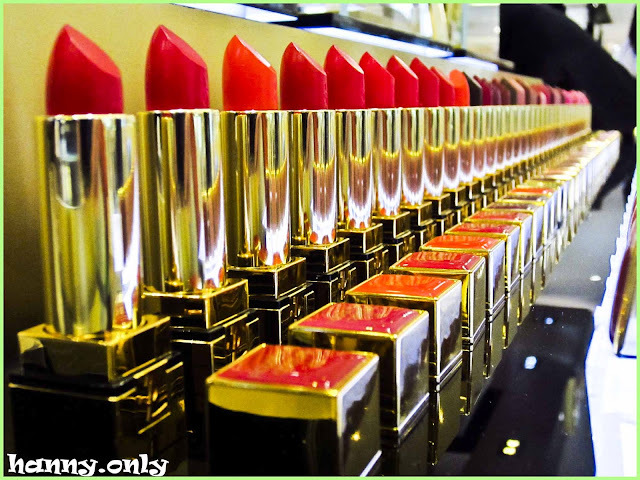 bold and edgy..
and after wondering around the counter and gave everything a shot.. from makeups, nail polishes and fragrances.. YSL kindly treated us for break-fasting..
cute fancy chocolate cupcakes.. yummm!! 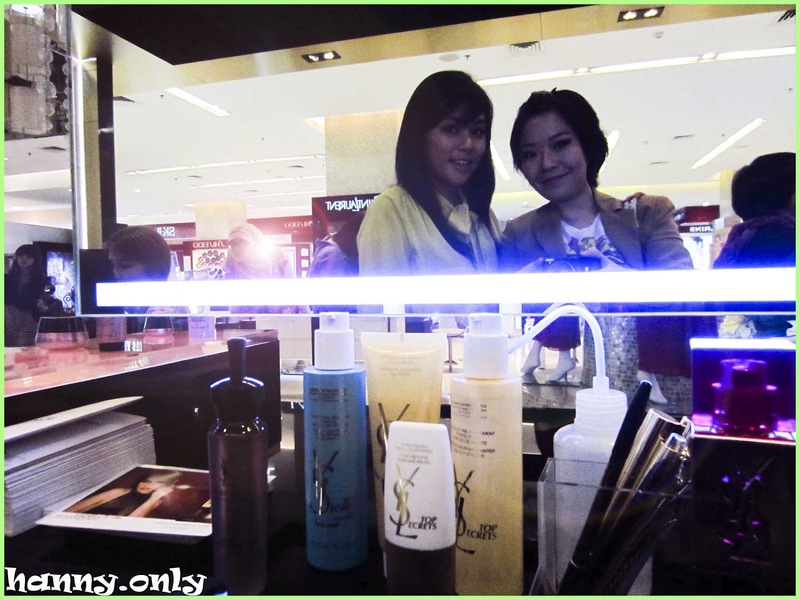 this cute pic taken from Carnellin.. check out her blog!